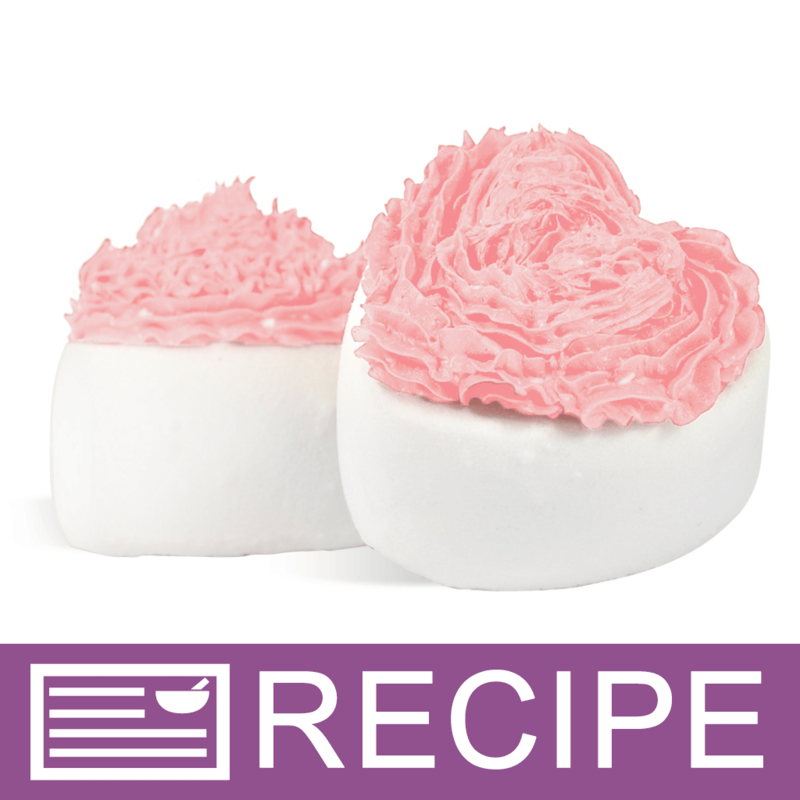 Create bath melts and exfoliating sugar scrubs with Wilton’s Heart Mold Silicone Mold. 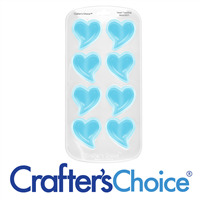 A mold to have on hand for making soaps and cosmetics for Valentine’s Day, Mother’s Day, Anniversaries, and Weddings. Bar Cavities: 6 Bar Depth: 1.25"
Bar Length: 2.5" Bar Width: 2.5"
COMMENTS: I used this mold for lotion bars and they came out so cute. COMMENTS: I used this mold for soaps and lotion bars. Great quality! 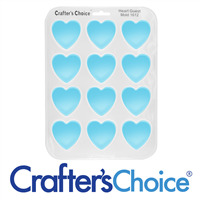 COMMENTS: Made the cutest heart shaped soaps and very easy to remove from the mold. COMMENTS: Great mold to use. I used it for bath fizzles. I look forward to using them with co soap. "Producez nice heart shaped soaps"
COMMENTS: This produces nice heart shaped soaps. I've used it for two batches this far. The first came out easily and the second stuck a bit. I was using a new recipe, so it most likely was the recipe rather than the mold. I plan to purchase another one. "Easy to pop soap out"
COMMENTS: This is a great mold that is easy to clean and the soap pops out without a hassle. COMMENTS: Very durable, love how the silicone releases, and this one is very easy to unmold. Love the shape. COMMENTS: I like this product because it released my melt and pour without a fuss. Perfect. COMMENTS: Valentines Day, Mother Day, Anniversarys, Weddings, Soaps and Bath Bombs. I was really surprised at how easy my bath bombs unmolded. However when making bath bombs/fizzies be sure not to over stuff because they will lose shape a little and when pouring hot soap as well, be careful soap is not too hot or the mold will warp. COMMENTS: i love that WSP carries Wilton molds, and this mold is top quality just like the other wilton molds i have purchased from WSP. my soaps come out clean and easily, and bath fizzies come out great too. COMMENTS: Hearts are always a great seller - can be used year round - over and over! COMMENTS: First time making melt and pour soap, this mold worked great for my Valentine soaps. Everyone loved them! COMMENTS: I really like this mold. It's perfect for making great sized bars of m&p in cute heart shapes. They come right out and have a smooth finish. "The perfect lotion bar mold." COMMENTS: I got this mold to use when I make lotion bars. I've found it to be the perfect size and shape. The bars pop right out of the mold easily which is great too. COMMENTS: Clean lines. Easily removed the soap. Really cute!